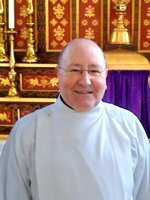 Please do contact him with any question you might have, including baptism and wedding enquiries – about which he is very open. Andy believes that Christian faith is about compassion, joy, service, humanity, laughter and spiritual depth. 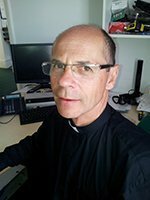 The Revd Pete Lambert (Father Pete) is a Gosport Deanery Priest who is based at Christ Church and Holy Trinity, having already served four years here as a Curate. It is his first post, but he has a wide experience both inside and outside the church. His “day job” is Surveyor of Portsmouth’s Historic Dockyard. 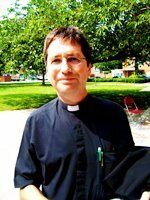 The Vicar is supported by Lay Deacon Philip Hopgood, and many kind and willing people who love and serve this church. Following the retirement of our Musical Director, Geoffrey Holroyde, whose celebrated service to the Church has helped bring about the refurbishment of our historical ‘Handel’ organ and seen music and concerts develop into a regular and much-welcome aspect of our church, Holy Trinity Church is pleased to introduce our new appointment: Maggie McMurray, who has taken on the role of Honorary Artistic Director. 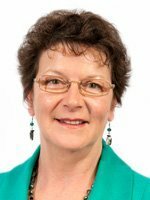 Maggie will continue to run the Sunday Tea-time Concerts and Monday Lunchtime Organ Recitals each month and will be seeking other opportunities to develop musical programmes throughout the year. In addition to music she wishes to introduce other art forms to our beautiful church, to include Art Exhibitions, Drama, Dance and Literature, in keeping with Holy Trinity’s spiritual context and its long and important history in Gosport. Maggie will be interested to hear from visitors to this website who have ideas or contacts that may be of interest to her in the development of the Arts at Holy Trinity Church.